Luoyang Longzhong Heavy Machinery Co.,Ltd. LSM Series Three Ring Ultra-fine Mill is a new mill set, which has absorbed the high advanced mechanical technology of Sweden and developed after more than 20 times’ experiments and improvement. It is the perfect combination of China and Sweden and leads the way in the world ultra-fine mills. It is widely used in grinding non-flammable and non-explosive brittle minerals, such as calcite, limestone, talc, mica, bentonite, plaster, graphite and barite. The hardness of materials decides the service life of the wear parts, when the moth is up to 5-9 grades, its life will decrease. 1. 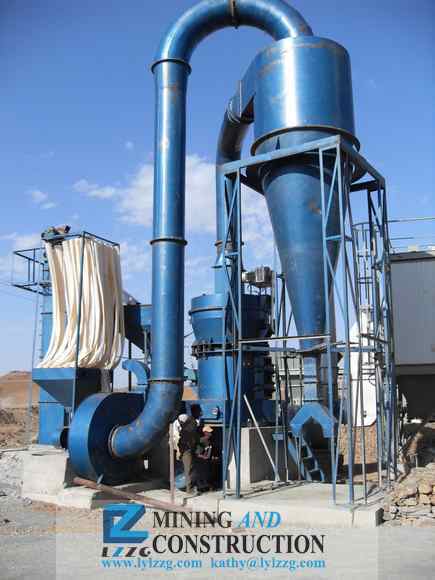 LSM Series Three Ring Ultra-fine Mill is high efficient and low cost. Its capacity is 40% higher than jet mill and stirring mill under the same condition of materials, force and product fineness. 2. Long service life. It is 1year longer than impact crusher and turbine mill under the condition of material and product fineness. 3. As there are no rolling bearings and bolts, so there is no such problems as destroying machine because of loose bolts or rolling bearings. 4. The yield can be as high as 97%.